We strive to provide a family friendly, safe, fun-filled environment. Taking pride in bringing families, friends and communities together, to build relationships and memories that last a lifetime. You’re always welcome here. Come in and chat with us. We’re really looking forward to it!! We reserve the right to close the pool for weather or safety conditions at any time. 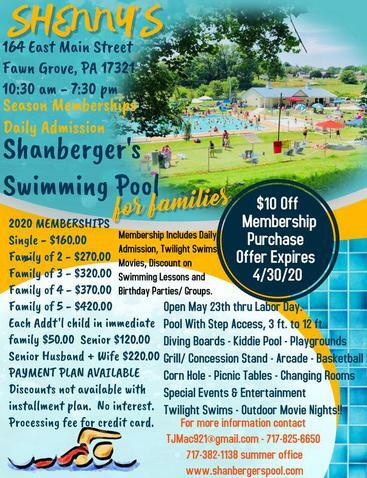 ©2011, Shenny's - SHANBERGER'S POOL, All Rights Reserved.